The CSDS-85 surveillance sonar is a fifth generation, high performance, active omni sonar designed for the detection of underwater intruders. It can be deployed in a single unit configuration for harbour surveillance or can be networked to maximize area coverage. 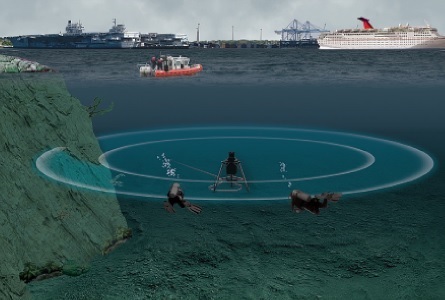 The sonar can be integrated with other sensors to provide a common operational picture of a designated area.